If you don't like Brussels sprouts, you are almost certainly cooking them too long. 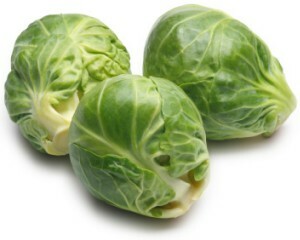 Sprouts should have a bit of crunch to them. Sprouts are the food of the gods. Sprouts are not food. They have been put on earth merely to cause arguments at Christmas. Please note...I am a vegetarian & can't stand the bloody things! The only way I can stomach even one is to cover it in cheese sauce. Hey, Richard, ou est le spam code? or even...ou est la maison de fromage? Also....Where did all the avatars go? Place handful of warm cooked sprouts (al dente) into blender. Lightly season and place between 2 hunks of hot buttered fresh baked bread. They're also very good chopped up raw, and used as part of a stir-fry. Why not just cut out the middle man & flush 'em straight down the crapper? I have two small daughters, the elder of which is now 6. In the autumn, a couple of years ago, she was with me in the local cooperative stores and spotted that the first sprouts of the season were then available. Now our whole family enjoy sprouts but no-one likes them more than our petit filous. It is difficult to describe the looks that you receive from other shoppers as your 4-year-old literally (and I use the term advisedly) jumps in the air with joy and shouts "Sprouts! Yay! Sprouts! Weyhay!" but it combines utter incredulity with complete horror at how terribly you must feed her to provoke such an outburst at the thought of supplementing her diet with the nation's least favourite vegetable. Some people just like sprouts.